Early tulips, crocus, daffodils and a start of hyacinths. That is the blooming status at the moment. Due to the cold and grey weather the flowers grow and bloom very slowly. Last night (and now still) we have had a big storm hopefully the flowers won’t fall over. The indoor tulip show looks so lovely at the moment. One side is at peak blooming and the other side is starting to bloom so all visitors this week and at Easter weekend can see it too. I made a video, if you haven’t seen it please have a look here. Outside more flowers are getting in bloom every day. There is a big difference with the first day of opening. However you can still see lots of green leaves. The indoor flower shows are making it worthwhile to go. At the flower fields you can see the daffodils in full bloom and next to the yellow colors you can see some fields turning slightly into color. On bike distance of Keukenhof you can find some early tulip fields and a couple of hyacinth fields getting to bloom. The weather predictions are cold, wet and grey until next Saturday morning. Dry and sunny weather is expected for Easter weekend and warm weather in the week after Easter. Wear layers of clothes so you won’t get too cold during this week. Yes, I have seen the first tourists on flip-flops and in shorts already (it is around 5C/41F, I am still wearing a wintercoat). I think we can see more flowers in the fields in bloom from Easter and for sure the week after Easter. We just need a couple of nice warm and sunny days to get the real explosion of colors. See the updates of previous seasons here. Easter weekend is next to parade weekend one of the busiest weekends of the spring season. Lots of tourist are visiting the area and lots of Dutch people are visiting Keukenhof too. Keep in mind that between 10 AM – 3 PM the roads will be blocked by traffic jams. There are no short cuts to the Keukenhof, all roads will be full with cars, busses, taxi’s etc. Arrive before 10 AM (by car and by bus) and make sure you buy your tickets online so you don’t have to wait in line. If you are planning to rent a bike, rent it in the morning. More tips for visiting at Easter weekend see this blogpost. Wishing you a wonderful week and for every one traveling this week have a wonderful trip! Where can we see some photos with flower fields status, especially tulips? we are planning to visit kukenhof and the sorrounding fileds on 17 april 2015. what can we expect on that day?? will the tulips be in full bloom in and around. I would love to, but I can’t predict nature to the day. We expect to see the tulip fields in bloom by the 2nd/3rd week of April. It all depends on the weather and temperature in the next two weeks. The last days we had everything from hail and storm to sunny and warm temperatures, it is april. Probably you will see some tulip fields by the 17th of april. You might see some hyacinth fields. And I am not sure it will be peak blooming. Wishing you a lovely trip to the Netherlands. hey, I was wondering what the best weekend is to go to keukenhof when all the flowers are blooming outside fields. I was thinking of the weekend of 25th and 26h april. any suggestions? The weekend of the 25th of April will be the busiest weekend due to the flower parade on Saturday. Have a look on our blog for more information about the flower parade. Blooming wise I am sure it will be lovely, but I suggest to go on the Friday or Monday when you want to avoid traffic jams and crowded Keukenhof. Please could you tell me when the tulip fields are usually headed? I understand that it depends on the weather so it is difficult to predict but I would be very grateful if you could tell me what happens usually. We will be visiting Keukenhof on May 2nd and was wondering whether to combine it with a boat trip. From what I have read it sounds like the Keukenhof should still be worth visiting but are the tulips in the surrounding fields likely to be finished by then? 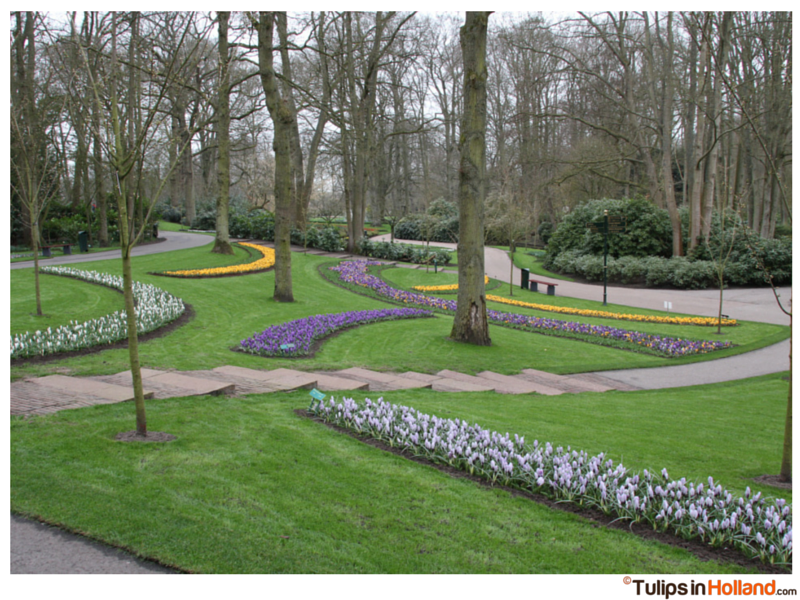 It all depends when the tulips start blooming and what the weather will be during blooming. The heading of the tulips in the fields (not Keukenhof) will start just after peak blooming) We don’t know yet when the peak blooming will be. Just to be sure … walk up to the platform of the windmill before booking your boat trip. When you see color in the fields from up there you will see blooming flower fields from the boat. (and if you don’t see any color this means that the flowers are headed). A lot of farmers will start from the 30th of April but not all the fields are headed at the same time. I´m very glad I found your website, it is very useful! We are travelling to Amsterdam the day after tomorrow (8th of April) and be´ll be there until Sunday. What can we expect? Are there at least any fields of tulips or other flowers? I would be very gratefull if you could indicate me where these fields are, if there are any. Have a look at the photo album to see what you can expect at Keukenhof and surrounding fields. https://www.flickr.com/photos/nring23/sets For tulips in the field it will be too early. But you will find daffodils and hyacinths in the fields. See the album maps for car/bike routes. Thank you very much for your answer!!! You’re doing a great job! If I come to the netherlands om May 5th, will I still see tulips in the fields? How about the gardens in keukenhof? Thank you so much. I really appreciate your advice.